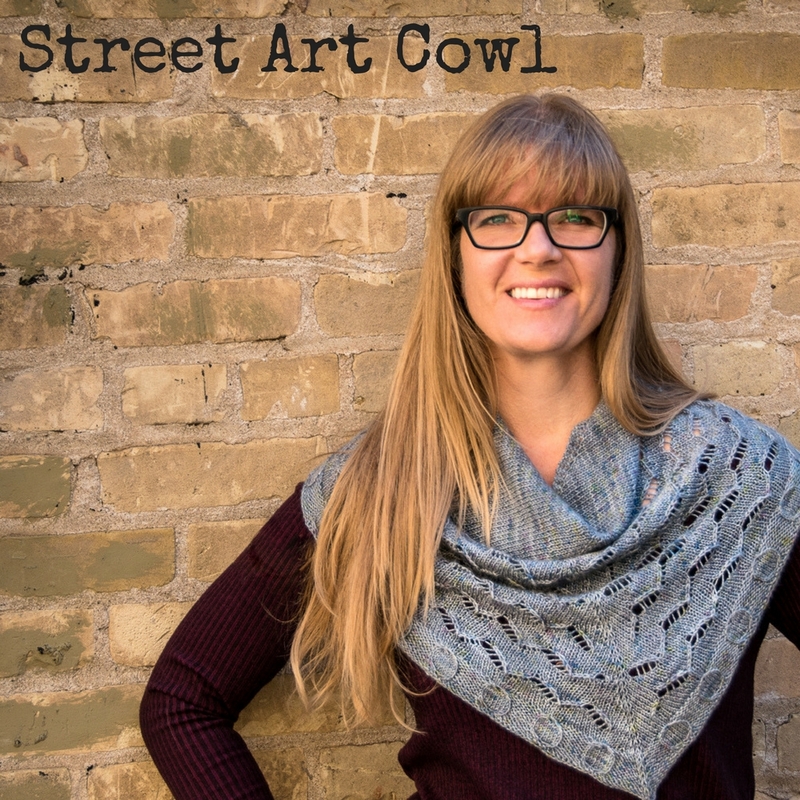 Looks like a shawl, wears like a cowl, and is a one-skein project! The Urban Creative Exploration is a three-way collaboration that is inspired by the urban landscape. 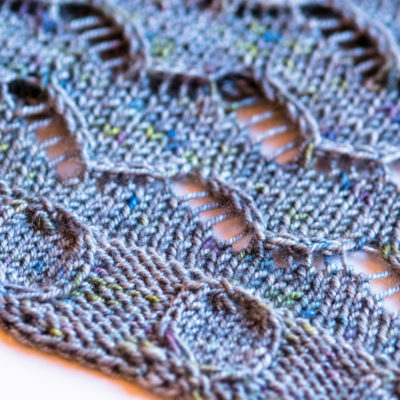 An inspiration photo was chosen by vote, and Indigodragonfly dyed up some amazing yarn inspired by its colours. 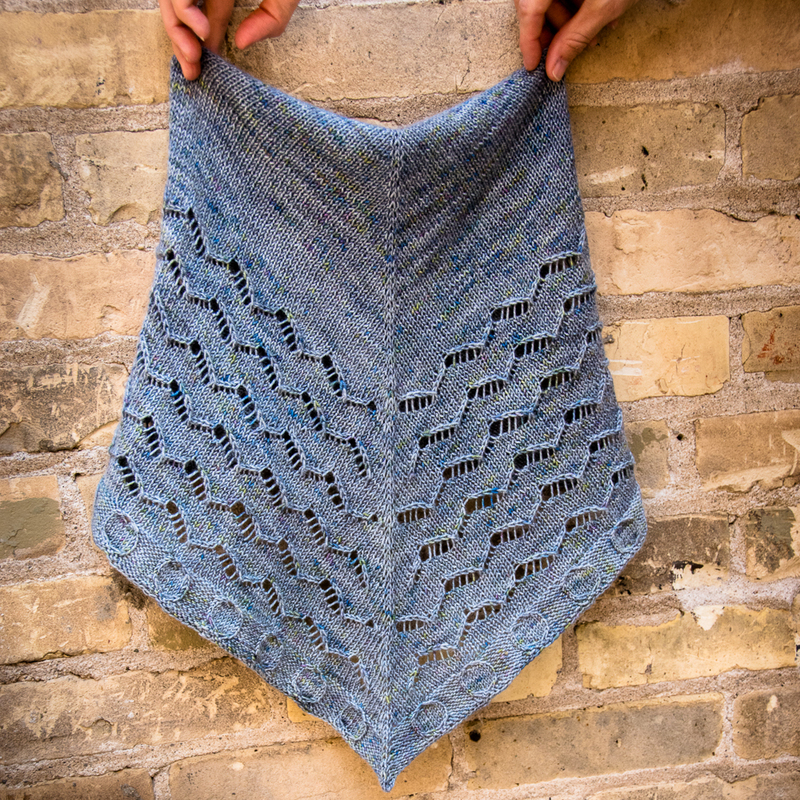 Two designers, Sarah from Imagined Landscape Designs, and Kristin Jancuk from MediaPeruana Designs, each crafted a one-skein accessory inspired by the same photo, using the custom colourway Architexture. Read more about it.